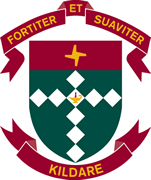 St Peter's College is a world-class anglican boys school situated in Adelaide, South Australia. St Peter's College remains uncompromising in our commitment to be at the forefront of boys’ education. We aspire to be a truly world class school where each boy flourishes. At Saints, in addition to academia, our focus is the character shaping of boys and young men – developing a sense of service, courage, commitment, integrity, morality and honour. In today’s world we must ensure that each and every boy has these underpinning values in order for them to make their way successfully in a changing world. The School is an Anglican day and boarding school for boys catering for students from Early Learning Centre to Year 12. Loreto College, Marryatville, is an independent Catholic day and boarding school providing outstanding educational opportunities for girls from Reception to SACE (Year 12). Loreto prides itself on a proven record of academic achievement, offering a broad range of subject choices and extra-curricular programs that cater for the diverse abilities and interests of our girls. Established in 1905, Loreto Marryatville, South Australia, is one of seven IBVM schools across Australia. Our "sister Loreto schools can be found in four other states: New South Wales, Queensland, Victoria and Western Australia. These schools share strong ties working together in a collaborative spirit of kinship. Conveniently located in the leafy green eastern suburbs of Adelaide, South Australia, Loreto College is 5 minutes from the heart of the City. The College is well served by private and government transport operators. Set on beautiful grounds on the edge of the city, Annesley Junior School is a caringcommunity where every child is cherished for their individuality. What families most love about Annesley is that it's a school where children can genuinely feel at home, and where values are lived out everyday. Annesley Junior School caters for boys and girls from two years of age to Year 6. Annesley children engage in a rigorous program with a focus on leadership, serviceand community sustainability. We offer flexibility as to when your child commences in our Early Learning Centre and we have multiple intakes into our Reception classes, recognising that children are ready to start school at different times. Children are also welcome to join us in other year levels. At Annesley, our children enjoy an expansive outdoor space with lushgreen lawns inwhich to learn and play, and their inside learning environment was purpose-built for young children. Our school is mid-fee and is open 49 weeks of the year. The Early Learning Centre, Before and After School and Vacation Care programs are accredited, enabling families to access the child-care benefit and rebate for these services. Annesley has ten core values, which form the basis of how our teachers and students interact: resilience, responsibility, humility, civility, justice, compassion, respect, gratitude courage and integrity. When our Annesley children grow and enter the wider world these values serve them well, allowing them to appreciate the differences – religious, cultural or otherwise – of those they encounter, and to flourish as true global citizens. Annesley’s values are implicitly and explicitly taught through role modelling, trans-disciplinary units, discussion, questioning and guided reflection. Our children benefit from the rich history of a distinguished educational institution founded by the Uniting Church in 1902. Community events are held in what is the historic heart of the school, Gillingham Hall, a grand structure built in the 1920s. Here a sense of tradition is most tangible. The school is a ten-minute walk from the CBD or a three-minute walk to the tram stop, which many parents working in the city find very helpful. Annesley’s close proximity to the tramline also means classes frequently travel into the city for excursions to extend their learning. Annesley Junior School is a vibrant place of learning. Our students are well prepared to be active, responsible and ethical citizens of our global world. The world has much to offer the young woman whose education has enabled her to develop confidence in her abilities. Wilderness is a school dedicated to understanding and meeting the differing needs of girls and young women in each phase of their development from childhood through adolescence to young adulthood. Because we are a small school, every girl knows that she is an important part of our 'family'. We are able to work with her, and with you, so that she can develop her full potential with a positive attitude to herself and to the joys and challenges life will hold for her. From her first day at school your daughter will be in an environment where she is valued for what she can offer as a person. She will know that achievement and leadership by women are natural and to be expected. Burc College is a place where all students can learn – the only variable can be the time. We have obligations to teach every learner and expect all students to learn. We believe in fostering a nurturing environment in which each child feels special and grows in self-esteem. Burc College is a school where diversity is strength and students are expected to understand, tolerate and respect differences. We value close ties among children, staff, parents, and the community and believe in strong parent participation for their children’s education. Burc College is a school devoted to the development of the student’s, intellectual, social, emotional and physical capacities in an atmosphere of equal opportunity. We create an environment for children to allow them to be themselves and to develop their full potential in the way and at the pace appropriate to them. the curriculum must be adapted to the child’s development level. On-going successes will encourage the development of a positive self-image, which will in turn allow the child to risk and accept failures without retreating from the learning setting. It encourages an awareness of what each child knows and what he/she needs to know in order to accomplish and achieve further. This requires teachers who emphasise the successes a child achieves and necessitates a positive approach to learning. 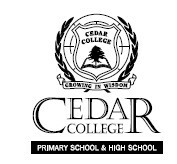 Cedar College is comprised of three departments - Primary School (Reception to Year 6), Middle School (Year 7 to Year 9) and Senior School (Year 10 to Year 12). These departments allow students to develop academically and socially at an appropriate level, while providing an academic facility that offers a complete education from Reception through to Year 12. It is the goal of Cedar College to train children to live, serve and work effectively in God’s world, through a Christ-centred and caring environment. This goal is achieved by encouraging a relationship with God, developing Christian attitudes and behaviours and ensuring a consistently high level of academic knowledge and skills. The values and attributes of punctuality, appearance, cooperation, courtesy, tolerance, respect for others and their property, openness, honesty and the appreciation of one's own worth, are important parts of our school culture. Charles Campbell College has a reputation for excellence. It is a community of learners with students and teachers working together in a safe, caring and supportive environment. The wide range of courses and extracurricular activities and an emphasis on self-discipline ensure that graduates are able to access the broadest range of options for life. Our staff are committed to and continue to be aware of the current methods to improve student learning outcomes. They have high expectations of themselves and their students and ensure that their courses are motivating, rigorous and challenging. 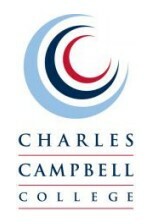 Charles Campbell College provides a fully comprehensive curriculum. 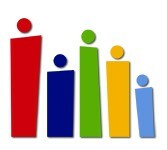 In all courses we aim to cater for students needs developing each student to his or her maximum potential. The junior and middle years curriculum encompasses a broad range of learning and all students participate in a relatively similar course. The senior years curriculum offers an extensive range of subjects which are approved courses for the South Australian Certificate of Education (SACE). To provide a comprehensive programme of education that develops the values of integrity, Christian living and caring in each child. That our school will be a nurturing ground for our children to live purposeful lives to the glory of God. We value relationships in our community and we strive to be a school that demonstrates God's love and care to each other. We value a holistic education where students are encouraged to meet their God-given potential academically, emotionally, artistically, physically, socially and spiritually in a nurturing Christian environment. We value open, honest and effective communication in our partnerships to ensure mutual benefits for all stakeholders. 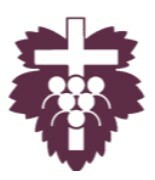 We value our Lutheran foundation of Christ-centred living and Christian teaching grounded in scripture. We value integrity based on Christian principles and example in all facets of school management, curriculum and community. Good Shepherd is an R-7 Lutheran Primary School located approximately 15km from the Adelaide G.P.O., in the North Eastern suburbs of Adelaide. Our school has a current enrolment of about 330 students spread across 13 classes. Good Shepherd Lutheran School has been established since 1980, and over the years has developed a very positive reputation within our region. Several years ago our school developed a mission statement that outlines in general terms why we exist. This mission statement reads as follows: “To provide Christ-centred quality education in a caring community, that prepares students for LIFE”. Kildare College offers an education for girls from Years 8 to 12. Girls are encouraged to take responsibility for their academic, moral and spiritual development through a range of thought provoking and challenging activities. The school nurtures a love of learning and fosters a desire for excellence in a supportive environment. Kildare is a community of learning, where staff and families work in partnership to provide our young women with a well-balanced secondary education. Our tradition and values will guide and support your daughter to develop “strength and gentleness” of character. By assisting our students to develop positive attitudes to life and learning, we believe that we can help them to discover inner strength, confidence and self-knowledge that will sustain them throughout their lives. There are very few things more important to you as a parent than your child's education. It plays a pivotal role in shaping who your child becomes and how they live their life. We thank you for considering King's Baptist Grammar School for your child's education. We invite you to visit the school and have a chat with myself, staff or other parents. We want you to learn as much as you can about the school so you can make this decision an informed one. We believe a child's education is a joint effort between parents, school and the greater community. We welcome a relationship with every parent who trusts their child's education to King's. Our vision is to be an R-13 Christian School, providing excellence in education and creating a Christian community where students experience the love of God and have opportunity to respond to Him. As part of our culture, we also encourage students from non-church attending families to attend King's. Our fee structure is geared to be cost comparable to the geographic area and financial capacity of parents. We strive to provide a vibrant and safe learning environment where students gain the confidence in themselves to meet life's challenges, build lasting relationships and gain a clear understanding of who they are in Christ. Set within a vibrant and welcoming community, our broad and inclusive Teaching & Learning and Student Wellbeing programs accommodate individual needs, provide flexible transition pathways and promote the pursuit of academic and personal excellence for your child. As a Josephite school, we are proud to share in the tradition of the Sisters of St Joseph, who have shaped our spirited community. We continue to build upon the spirit of Saint Mary of the Cross MacKillop through providing an education immersed in the Gospel values, whilst living out our own Core Values of Belonging, Diversity, Excellence and Relationship. 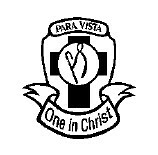 Our motto - Caritas et Dignitas (Love and Dignity) - reflects our heritage as a Catholic School in the Josephite tradition. At the heart of our mission is a diverse learning community where relationships are grounded in Gospel values, individuals feel they belong and all are encouraged to succeed and celebrate excellence. 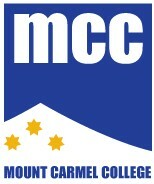 At Mount Carmel College, we value student leadership and encourage your child to be involved in decision-making processes and student initiatives that build our vibrant community. Our extensive Curriculum Extension Activities complement our systematic curriculum and support our belief in providing an educational experience that nurtures and supports the development of the individual. Our commitment to Social Justice is expressed through our low-fee structure, strong pastoral emphasis and excellent educational opportunities for your child. We welcome you, as parents/caregivers, to become involved in our community to help support the academic and personal growth of your child and the Mount Carmel community as a whole. 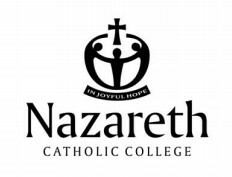 Nazareth Catholic Community was established in January 2007. The following extract provides the background to the establishment of the Community. "I am pleased to contribute to the inaugural New Catholic Community Precinct newsletter highlighting this exciting family centred project. This endeavour will focus on ways of engaging with families in a whole of life journey by providing resources, opportunities and ministries to support the religious, spiritual, social, emotional and intellectual growth and well-being of families. It is our goal to provide these services in a way that is holistic and integrated within a strong faith environment. A core component of the new Community will be an educationally innovative R-12 Catholic school, with each student, their faith development and their family, at its heart.The evolving community will bring together families from the Albert Park/Findon, Flinders Park/Hindmarsh and Seaton parishes as well as from the Mater Christi, Cardinia, Our Lady of the Manger Parish Schools and Siena College. It will also engage with the wider Catholic and local parish communities in the provision of ministry and services.At its heart will be a community who come together in Eucharist and who bring this to their life and learning. They will make available the Christian message and Catholic tradition to all in ways that are contemporary, relevant and inclusive. To work in partnership as a learning community celebrating God’s presence amongst us modelling the life of Christ celebrating the gifts of the community working together to give our children rich learning opportunities that help to make a difference. A community of learners making a difference. Catholic Schools - Educated young people in all dimensions of life, invite young people to join in the Church’s mission, welcome students to a Christian learning community, prepare young people for life. Our Lady of the Sacred Heart College is an all girls secondary Catholic College, with 620 students from Years 8-12. Founded in 1951 in Adelaide, South Australia, OLSH is located in Enfield, only 6 kms from the Adelaide CBD and 20 minutes from Adelaide International Airport. OLSH is a vibrant, inclusive and hopeful community, in which each individual is valued. Our passionate, generous and highly competent staff, prepare students for future challenges by encouraging creativity, perseverance and resilience. We encourage excellence. We strive to develop within each girl confidence in her particular talents and abilities and the knowledge that she is important and unique. The OLSH Campus is structured around several courtyards with modern facilities and its fenced grounds provide a safe and secure learning environment for all the girls. The Senior Campus opened in 2009 offers an innovative, adult learning community for our senior students, to support their transition from school into life in the global community. Our outstanding learning program, recognising the particular way in which girls learn best, produces excellent results in Year 12 and leads graduates to University courses, in fields such as Engineering, Law, Pharmacy, Business and Medicine. Your daughter’s success at school will, to a huge extent, predict her future. We equip students with the skills for success in this rapidly changing world. OLSH provides a multicultural community of students in which your daughter can develop strong interpersonal skills and global friendships. Prescott College is a co-educational day school for students from Years 8-12 based in North Adelaide. Enrolments are welcome from any student who wishes to study and learn within an environment shaped by Christian beliefs, values and lifestyle. The school is owned and operated by the Seventh-day Adventist Church and is a part of one of the largest protestant education systems in the world. 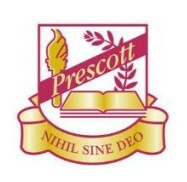 Prescott College is a small private school and this provides a family atmosphere where students have close, personal contact with their teachers. Students are provided with personal and academic challenges combined with individual attention to ensure that your child will receive one of the best educations in Adelaide. Student learning is also enhanced by our motivational performance level program. What is a Jesuit School? It is one based on Christian Humanism, which sees the growth of all the humane as important, and which knows that ‘the glory of God is man and woman fully alive’. Hence we have always emphasised the development of ‘the whole person’ mind, heart, body, will; the intellectual and the affective, the spiritual and the physical, the imagination and the sense of critique. Our ideal is to see our students as unique and gifted, no matter the range. In traditional Jesuit terms, they are to be treated with ‘cura personalis’, individual care, ‘like the several instruments of an orchestra, each with its own timbre and quality’, so that each may play the part in the world that only he or she can fulfil, the role they are called to play in the Mind of God. Our ideal graduates are to be ‘young men and women of competence, conscience and compassion’, with an attitude of excellence and service, knowing that they are called to be ‘men and women for others’. In the words of Ignatius, our young people are called ‘to praise, to revere and to serve’, and they are to do this by developing their talents, the potential within them. Their search should be to find God in the world, and in their hearts and minds, as they grow through life in their love of Christ and their neighbour. They should grow as young people able to use their judgement, to discern the direction of the paths into which they tend, whether such paths lead to greater love and truth or to hate and evil in the world. And they are to be young people of great heart, ‘fully alive’, and of great generosity: ‘Lord, teach me to be generous’ towards God and towards neighbour, was Ignatius’ own prayer. Our wonderful R-7 co-educational school is situated at Mansfield Park (adjacent the new Westwood development). Our school is based on the example of St Mary of the Cross MacKillop whose values of respect, dignity, love and freedom through education continue to inspire our dedicated staff to support each child to achieve their potential. Our School motto 'In Omnibus Caritas' which means 'In All Things Love' lies at the heart of our teaching and learning providing an opportunity for your child to learn and grow in a caring environment. Happy students learn best in a nurturing environment which promotes working with others and striving for personal excellence. 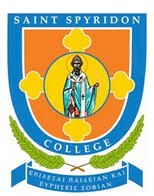 Saint Spyridon College is a community based, family oriented primary school whose values are underpinned by Christian principles and a commitment to valuing the diversity within our multicultural society. We believe that the empowerment of the individual is through character development and that it is only through embracing learning that one finds wisdom. We actively support our students' social, emotional, spiritual, physical and intellectual development. We are autonomous but are a school of the Orthodox Archdiocese of Australia. Our vision is that Saint Spyridon College graduates will have the personal strength of character to accept new challenges, achieve personal goals and become proactive, responsible members of society. Our key values are to incorporate a diverse curriculum in the children’s learning and we are committed to nurturing and enhancing the social, intellectual, physical and emotional development of each child. To provide a high quality education for children from Reception to Year 7. Our key values are to incorporate a diverse curriculum within eight areas of learning. We are committed to nurturing and enhancing the social, intellectual, physical and emotional development of each child. 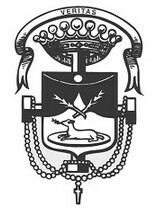 St Dominic's Priory College is a Catholic School in the Dominican tradition. The student body consists of girls (Reception - Year 13) and boys (Reception - Year 2). St Dominic's seeks to provide a sound and balanced education for students in a community committed to Faith in the Gospel of Jesus. 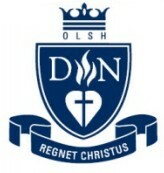 The school's mission is to nurture the unique gifts of each person within a secure and loving environment.